Home / Celebrities Gist / Tonto Dikeh’s husband Churchill Oladunni breaks silence, says actress destroyed N66 million property!!! Tonto Dikeh’s husband Churchill Oladunni breaks silence, says actress destroyed N66 million property!!! 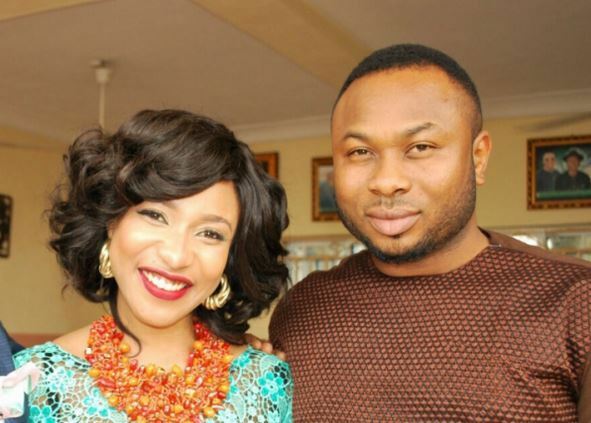 Churchill Oladunni, estranged husband of Nollywood Actress, Tonto Dikeh has finally granted an interview. 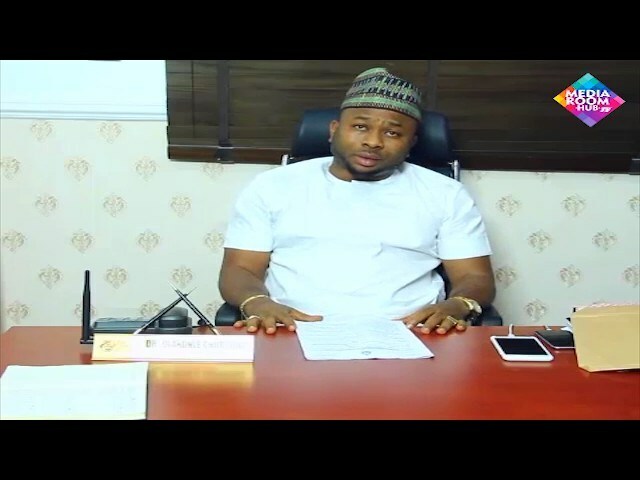 This time, he spoke to Media Hub Room, same Entertainment company that published Tonto Dikeh’s Interview, where she broke down in tears and revealed some shocking details. Olakunle Churchiil, the husband of controversial Nollywood actress, Tonto Dikeh, has addressed the domestic violence allegations levelled against him by his estranged wife in a new video on Sunday. In the no-holds-bared video, the Abuja based entrepreneur said Tonto sometimes goes through an uncontrollable “crisis” as a result of her “negative intake”. When probed further on what he meant by negative intake, he listed alcohol abuse, marijuana and more. According to him, during the Ghana incident, his wife was under the influence of certain substances. “Six men can’t hold Tonto down, talk less of me beating Tonto”. He also said he was already rich before he met the actress and that her statements about helping him financially are untrue. Regarding the “Ghana incident” when Tonto allegedly got arrested, Churchill said Tonto got angry because he wanted to go for a friend’s house warming. He alleged that she jumped his fence after tearing down the security system; she then went into the house and destroyed property. He said he was not home at the time and he called the police. He alleged that she was rude to the police chief at the station and even spat at police officers. He said he deleted photos from the incident to protect Tonto and that he wrote a withdrawal letter to the police in an attempt to prevent Tonto from being jailed. He also paid for her to be bailed. Three weeks after this incident, Tonto got pregnant, he said, and that Tonto was “a perfect woman” all through her pregnancy. He said Tonto allegedly became erratic once again after she came back to Nigeria four months after the birth of King. According to Churchill, Tonto has damaged N66 million worth of property till date. He said he has tried to “revive her” to the person she was while she was pregnant. He said he has someone in Tonto’s inner circle who monitors Tonto and gives him updates including when Tonto attempts to blackmail him. Churchill disputed his wife’s claims that he hit their son King, and played an audio recording of a conversation between himself and King’s nanny. During the call, he lamented about being denied access to King. This happened a day before King’s birthday. On Tonto’s domestic violence allegations, Churchill claimed he did not hit her. He said the only scar he is aware of is one on her leg. He explained that the incident which led to the scar occurred in his mum’s house when Tonto was destroying property. He said her male best friend was crying and trying to hold her; and in the midst of the commotion, Tonto hurt her leg. He shared a video of the aftermath of the alleged incident where his mum’s voice can be heard in the background. On Tonto’s claims that she lost a four months’ pregnancy, he addressed the timeline and said it is not true. He said Tonto “makes up the scars” and that he is not a woman beater. Churchill also denied that he infected his wife with STD. The businessman said their families have tried to reconcile them nine times. He said that during these family meetings, Tonto pretended to be interested in the reconciliation and then blocks him after. He shared videos and photos from a recent family meeting which Tonto attended with King. Regarding the alleged trip with his mistress, Churchill said he got all his staff visas for a business trip to Europe which they all attended as a group. He also alleged that Tonto beat his younger brother and said he had no kid outside wedlock. On Tonto saying he withheld information on his first marriage, he said the gist and photos on his first marriage went viral before he and Tonto tied the knot. On Tonto’s allegations that the luxury gifts displayed were not truly purchased by Churchill, he said it is not true and that he has receipts for everything including a Rolex. Churchill’s video comes barely two weeks after Tonto released ‘evidence’ of domestic abuse in a video. In the video, which is reminiscent of Tiwa Savage’s infamous interview, the mother-of-one also revealed that actress, Rosaline Meurer, slept with her estranged husband. The Petrochemical engineering graduate of the Rivers State University of Science and Technology also revealed how she endured domestic violence from her estranged husband in Nigeria and Ghana. She also added that the Nigerian Embassy in Ghana have photo evidence of battery. The actress confirmed the cracks in her 17-month-old marriage in an open letter to a concerned fan on Instagram in February.